LAS VEGAS -- Samsung announced today that Windows 10 will run on its newest lightweight laptop and a new 2-in-1 tablet called the Galaxy TabPro S.
With these announcements, Samsung has jumped on the Windows 10 bandwagon, but analysts aren't sure how well the South Korean vendor can compete against established laptop competitors in the same space. "It could be an interesting market for Samsung, but only if they make the right moves with technology, innovation and marketing," said Jack Gold, an analyst at J. Gold Associates. "Samsung has made laptops for a number of years and has never been a top tier vendor. Two-in-one devices could be a good growth area for them. But I don't seem them as a short-term threat to any of the major vendors." Windows 10 laptops have begun hitting the market from a large number of vendors including Hewlett-Packard, Dell, Toshiba, Lenovo and Asus. 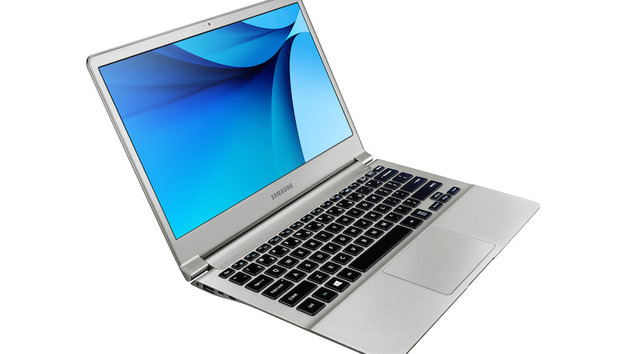 Samsung's laptop, called the Notebook 9, comes in two sizes. The 15-in.-model weighs 2.84 pounds and the 13.3-in. model is 1.85 pounds. Both have displays with high-definition 1920 x 1080 resolution. They both also have Intel's Skylake Core i5/i7 processors and support up to 256GB of storage. The notebooks will be available early this year, Samsung said. Pricing wasn't announced. The new 2-in-1 Galaxy TabPro S mimics the Surface Pro 3 from Microsoft in many ways, including a foldable cover/keyboard. Samsung's version will ship in both the Windows 10 Home and Windows 10 Pro editions. It has a 12-in. display with 2160 x 1440 resolution. It will run on the Intel Core M dual-core processor. Samsung claimed the TabPro S is the first Super AMOLED (active matrix organic light-emitting diode) display for Windows on the market, adding greater viewing clarity. Super AMOLED has been a feature in Galaxy smartphones and televisions from Samsung for years. A fast-charging feature for up to 10.5 hours of battery life is expected to be a big draw for business users, said Eric McCarty, vice president of mobile business product marketing. The Galaxy TabPro S 2-in-1 tablet. The TabPro S will be available in February, although pricing wasn't announced. Gold said Samsung has been hamstrung in past sales efforts for laptops because the devices were "buried within other units" at the massive company "so the focus wasn't as strong as needed."